Kate McDevitt, Senior Manager of School Wellness Programs at the Center for Community Health, recently received the 2015 Outstanding Community Partner of the Year award from the California Association for Health, Physical Education, Recreation and Dance Unit 47-412. The award recognizes her commitment to improving the health of local children. 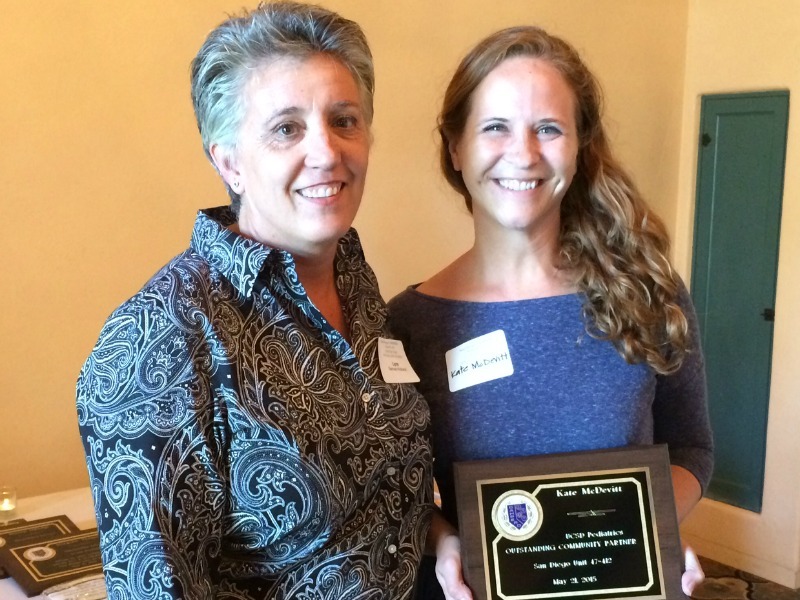 Pictured – Kate (right) accepted the award from Lynn Barnes-Wallace, Physical Education and Health Resource Teacher at San Diego Unified School District (left).